We need your help! We are seeking ONE WOMAN from the NATIVE AMERICAN community between ages 24-35 to round out our myriad of different perspectives from overseas hosts to better balance the programming, and provide insightful dialogue that leads to lasting change for a global podcast about women! Topics will range anywhere from the serious to hilarious. We also plan to extend this project beyond just a podcast, including an active social media presence. 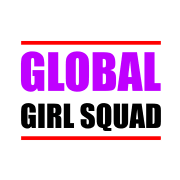 We really believe in this project so if you are interested in getting started with our team, we are looking for dedicated, reliable women who want to affect change and work to achieve gender equality around the world. It will be an awesome experience. This is a NON-PAYING opportunity. We are working on several different projects so we ask when responding to this post that you put "Podcast Host Submission" in the subject line of the email. Upon receipt, we will provide you with details on how to move forward in the selection process. Send all interest and inquiries to apply.tso@gmail.com for consideration.